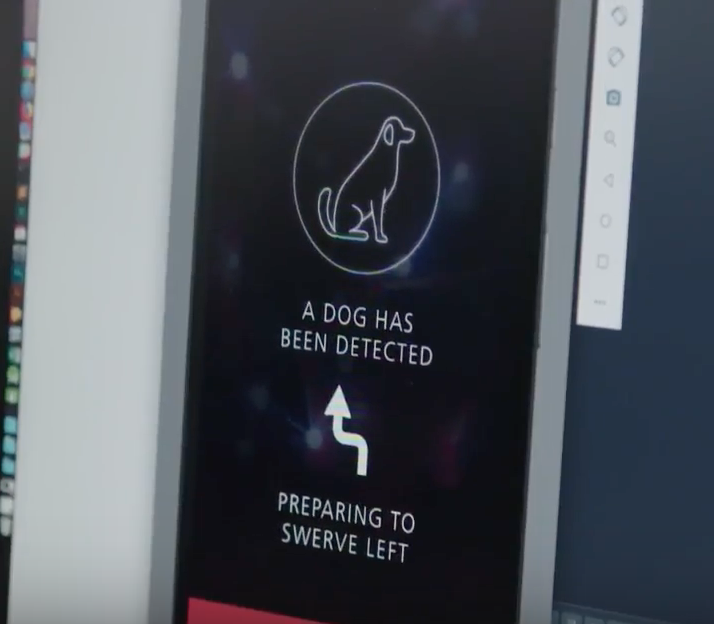 Curiosity can kill a cat – or a dog, in Huawei’s case. 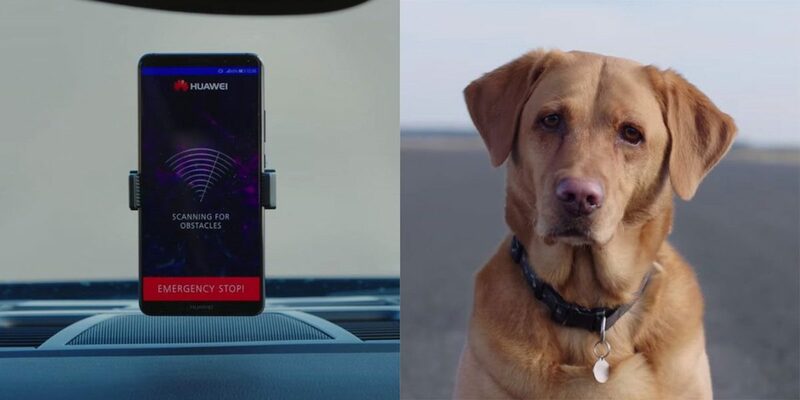 In line with its ‘Roadreader’ project, Huawei has recently launched a video that showcases a five-week challenge that uses an AI-powered smartphone – namely its Mate 10 Pro – to drive an autonomous car. In the video, Andrew Garrihy, Chief Marketing Officer at Huawei, mused that since their smartphone is “already outstanding at object recognition”, they wanted to push its limits and see if it can achieve greater things. Could the AI (artificial intelligence) – that’s currently embedded in our phone – pilot a car, recognise an object, and stop the car to avoid them? Essentially, what this ‘Roadreader’ project aims to do is put the learning capabilities, speed, and power of Huawei’s AI-powered device to the test. 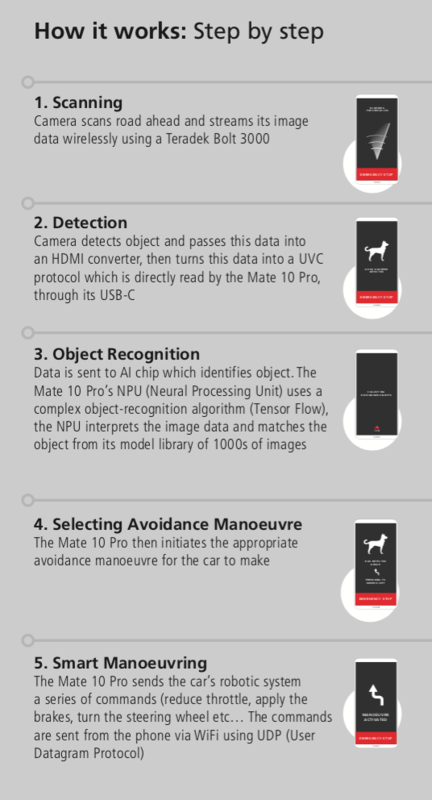 Typically, the Huawei Mate 10 Pro uses AI to automatically recognise objects like cats, dogs, food, and other objects, to help users take pictures like a pro. But Huawei believes that this object recognition capability of theirs has the potential to do so much more. If they place a dog in front of a moving car, will it be able to smartly manoeuvre itself to avoid running the dog over? That’s the challenge that Huawei wants to take on with this project. “The first thing we had to do with the car is to allow it to be robotically controlled. Then on top of that, we had to build a communication method that allows the phone to tell the car that it is a specific object,” explained Duncan McKerracher, Head of Creative Technology at Huawei. This recognition has to be instantaneous; and once that first layer is done, the next step is to use that information to allow the car to manoeuvre accordingly. Unlike other driverless cars, which simply detect obstacles, Huawei has used the embedded AI capability on its Mate 10 Pro to transform a Porsche Panamera into a driverless vehicle that doesn’t just see, but crucially understands its surroundings. This allows it to recognise different types of obstacles, and learn to take the most appropriate course of action. [What we did is] more than driving a car. It’s actually intelligent object recognition, and using that intelligence to make decisions. If we can succeed in this challenge, what else is possible? Following the success of this challenge, Huawei has become the first smartphone manufacturer in the world to use an AI-powered smartphone to drive a car. It used its own chip, built for a smartphone, and demonstrated its ability to be flexible in adhering to even the most advanced technology developed for use in self-driving cars. So now that Huawei has virtually made the impossible possible, what’s next? As Huawei proves that sky’s the limit with AI capabilities, we wonder what other real-world applications can object recognition achieve in the future beyond powering self-driving cars. Often times when I people-watch, I tend to wonder where that girl got that cute skirt from, or where she got her cool pair of shoes from. So imagine this: whipping out your phone and taking a picture of that object of envy. With the phone’s AI capabilities, it is able to instantly detect the item and offer you relevant data as well as lead you to its product page online. (And then you can proceed to the checkout page). That would personally be very useful for me. What other cool potential uses do you think object recognition, or AI in general, could bring? Let us know in the comment section below!